Hello again, and thanks for coming back! 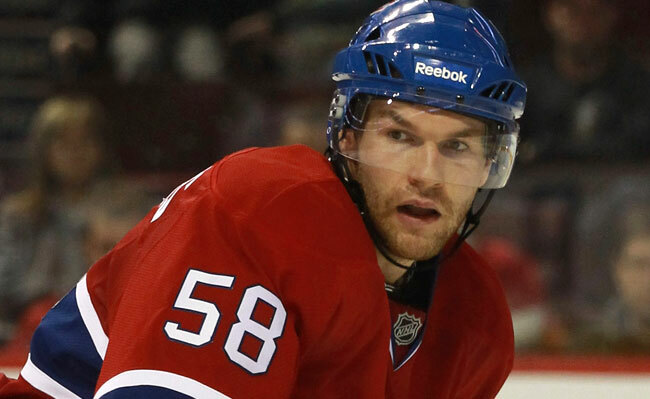 Today we’re going to examine the case of Montreal Canadiens centre David Desharnais. Obviously, Desharnais has been a point-per-game or more player his entire career, save for the NHL, where his numbers are still not bad at all. Last season, however, saw Desharnais slip in point production and seemingly have no set linemates all year long, after spending nearly the entirety of 2011-2012 paired with Max Pacioretty and Erik Cole. This would ultimately lead to Cole being shipped off to Dallas for former Hab Michael Ryder. After having such great chemistry with Cole and Pacioretty, all 3 players had difficulty finding the back of the net playing with each other and other players. With Cole being traded and Pacioretty locked up as the team’s future, Habs fans can’t help but wonder if Desharnais is somewhat expendable, with the depth the team has at centre and newly bought out Vincent Lecavalier being on the open market. Vinny is a player that Habs GM Marc Bergevin has got to be targeting, as he fits the type of player Montreal has needed for years: a big, powerful top-line centreman. Vinny can play in all situations and proved this past season that he can still put up points, scoring 10 goals and 32 points in 39 games for an average of 0.82 points per game. That translates into 21 goals and 67 points over the course of an 82 game season. 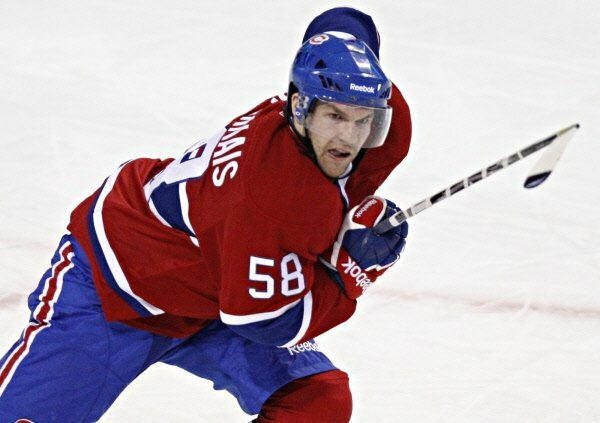 If the Habs can successfully talk Lecavalier into playing in his home city for a reasonable price, look for Desharnais to be on the way out. With, arguably, one of the best two-way forwards in the game in Tomas Plekanec still putting up points and killing penalties effectively, as well as up-and-comer Lars Eller and natural centreman Alex Galchenyuk each looking for more ice-time and responsibility, the centre position gets a little crowded with the addition of Lecavalier. This trade helps Nashville with their scoring woes, makes them a little quicker and frees up a spot on their crowded blueline. Montreal, meanwhile, gets a player who can make an immediate difference on the power play, clear up a spot in case of a Lecavalier signing and provide peace of mind knowing that Markov’s replacement is already here. So what do you guys think? 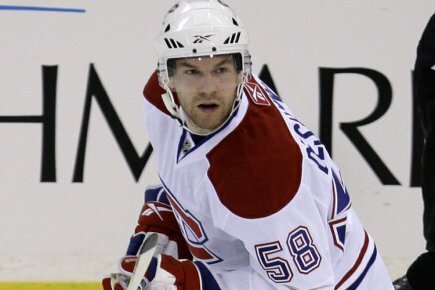 Will Desharnais be moved or will he stick around with the Habs?